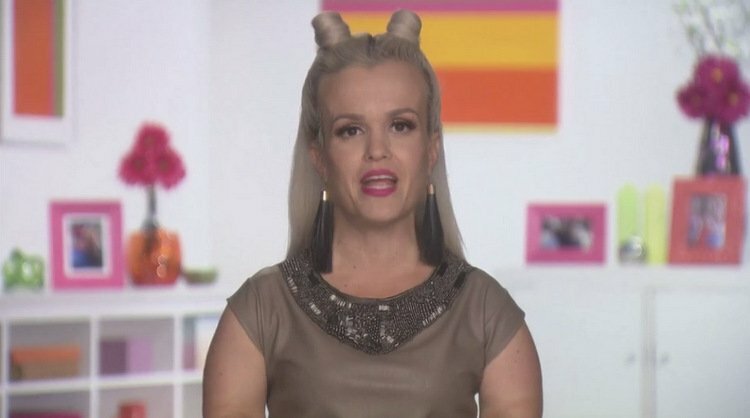 Attention Little Women: LA viewers: Terra Jole has yet another show in the works. She already had her own spin-off series on Lifetime called Terra’s Little Family and she appeared on the last season of Dancing With the Stars, but Terra still has more reality TV plans on the horizon. If the Little Women: LA ladies were jealous that Terra was on Dancing With The Stars, there are definitely going to peeved about this news. Terra talked to In Touch Weekly about the upcoming series. She didn’t share any details about the premise of the show or its release date, but she got the word out and teased that there will be an official announcement on the way soon. Gotta hand to Terra, she’s always working it when it comes to self-promotion. I love how she made sure to mention her book and the upcoming Little Women: LA season in the same breath before discussing her new show. The mother of two also said, “It’s like when it rains it pours. There are the book details, there are show details, and then Season 7 is about to start filming.” So much to plug, so little time, but Terra manages to mention it all… many times… in the same story. TELL US – WILL YOU WATCH TERRA’S NEW SHOW?